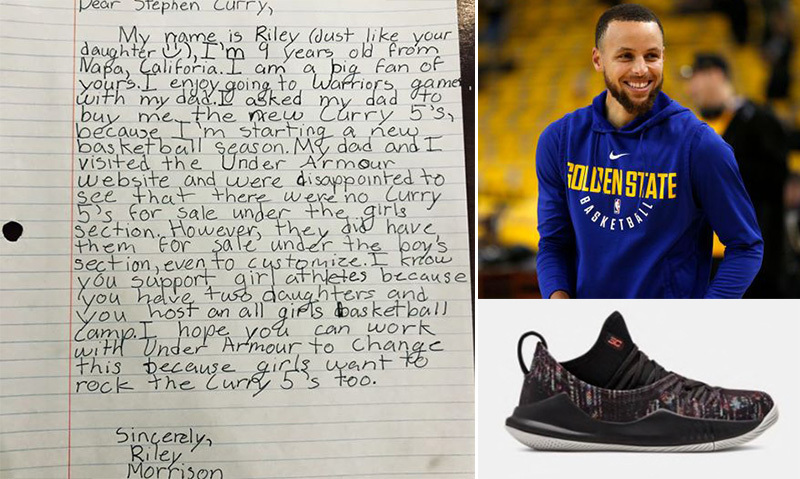 A 9-year-old girl wrote a letter to NBA star Steph Curry pointing out that his shoes do not come in girl sizes, and not only did Curry respond, he made a change. 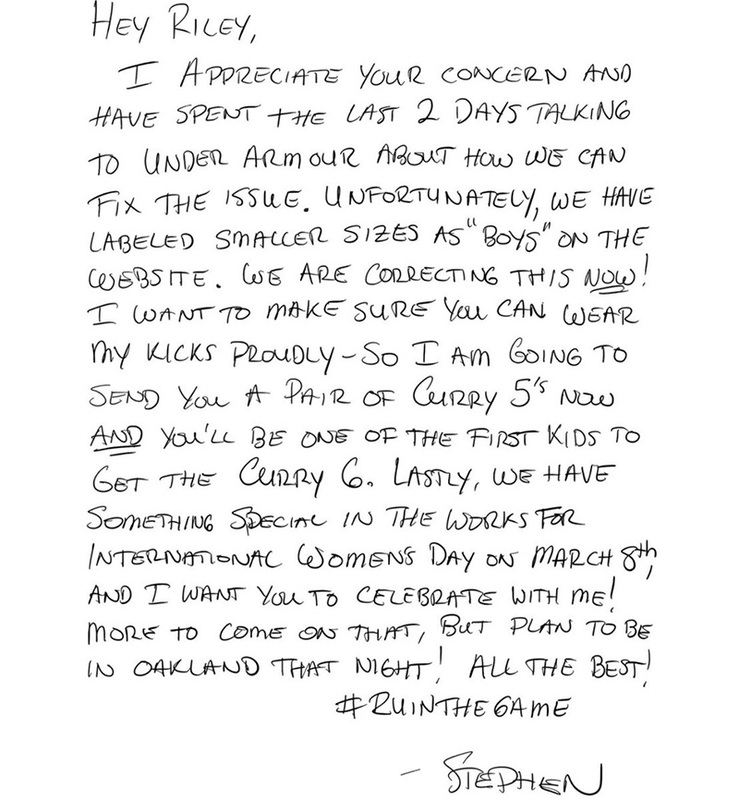 He said he has now worked with Under Armour to put them in the girls section too, and sure enough the shoes are now there. Love heartwarming stories like this. Thanks for sharing the good that exists in this world. You will see a shift in my sight, I want more info on what,is being done for the chronically ill and mental,illness and good stories about how,people with inflict or try to end the stigma. Cool beans! Great ideas to pass along. You are doing just that with what you have created with Survivors Bog Here. I saw this a while back in the news, but didn’t stop to read the whole story. So glad I did today! Though I don’t really follow big team sports, I played a lot of basketball in 7th and 8th grade so can relate to Riley. I’m making it a point now to remember Stephen Curry, The Golden State Warriors, Riley Morrison, and March 8. Thanks for sharing this! She is some kid on a mission, she will go far in life. Since joining the group I look for good news to remind,myself it’s a negative would. Our mainstream media’s focus is negative. There is still good news to be found. I wish we didn’t have to look so hard for it. Oh, well, it’s good to share in groups like this. I plan to look for good news or good outcomes more often. I’m changing the direction of my site a bit. Aww, what an encouraging story. Wow – I was a fan of his before but now I’m an even bigger one! Thanks for sharing! Thank you for sharing this story. He is an amazing atheltic talent and leader. And I have read so many stories of what a great person he is. Here is another for the collection. Thank you. We need to hear these stories, especially in a time when we are losing so much faith in other people. I agree with that, it’s media gone wild. You may want to join the group. We write good news stories on the last Friday of the month. It’s my second month and I feel a sense of peace. If that makes sense.